Document Scanning is a business practice that can save time and money, preserve natural resources, secure vital information from disaster, and even create office space. It begins with the conversion of paper documents to a digital format that can then be used to email, collaborate with colleagues, and integrate with ERP applications. 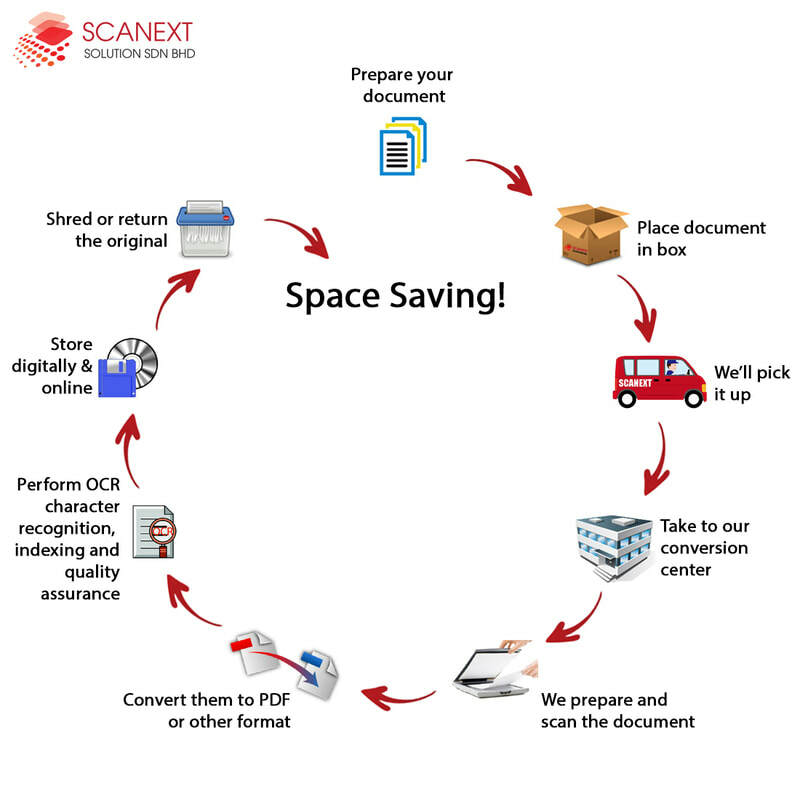 Scanext offers document scanning services for your organization’s needs. We are experts at turning your paper into digital information you can use. We image and scan documents with impeccable clarity, regardless of the document type: invoice, book, large format, etc. Once your documents are digital, we can make them searchable based on keywords and based the contents of the document. We will also help you choose document management software to streamline your business processes. We perform the full start to end process for back file scanning. We provide a smooth and secure transition from paper documents to electronic files. Our day forward scanning services bridge the gap between the paper document and the fully electronic file. Once we have converted your backlog of files, we offer daily, weekly, monthly, and quarterly pick-up and delivery services to retrieve your active paper files and convert them to electronic files with turnaround times as fast as 1 business day if needed. As with all our services, Royal Imaging is very flexible about service administration. We can perform scanning at our secure production facility, or bring our equipment and staff to your location to perform the job on-site. We coordinate delivery times to fit your schedule, and can work with the courier company of your choice. Click here to view "Guidelines to estimate quantity of paper".